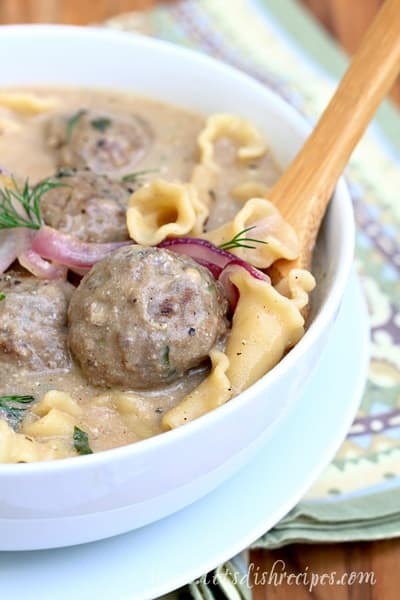 Swedish meatballs is one of the recipes my mom made when I was a kid that I really, really loved. Actually, I don’t remember disliking anything my mom made, except for maybe Tater Tot Casserole. But I really loved Swedish meatballs! So it’s probably no surprise that I loved this Swedish Meatball Soup. 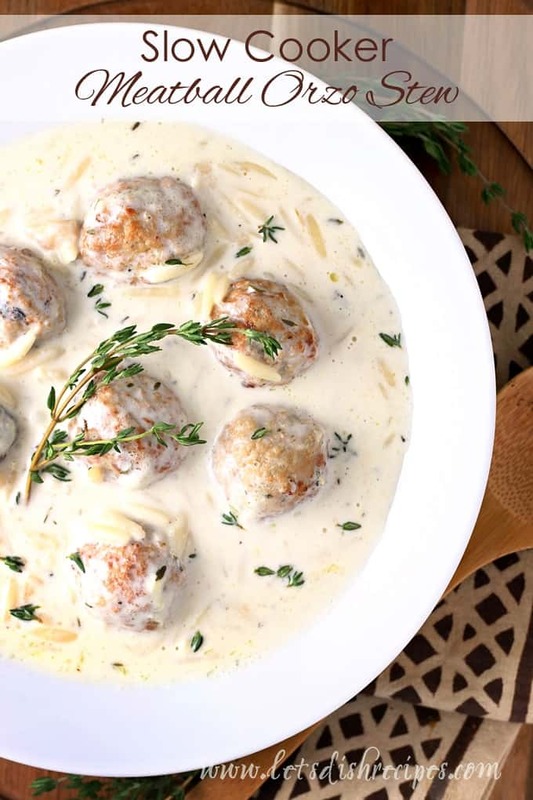 If you’re thinking this is just Swedish meatballs, only a little soupier….well, you’re right! But it’s brilliant, isn’t it? I mean, the best part about Swedish meatballs is the sauce. So you can’t go wrong by adding more. Actually, my husband might say the meatballs are the best part. But if you add more sauce, you can add more meatballs! I made my own meatballs for this recipe, but you could certainly use frozen ones in a pinch. I’m not above doing that myself on a busy day. 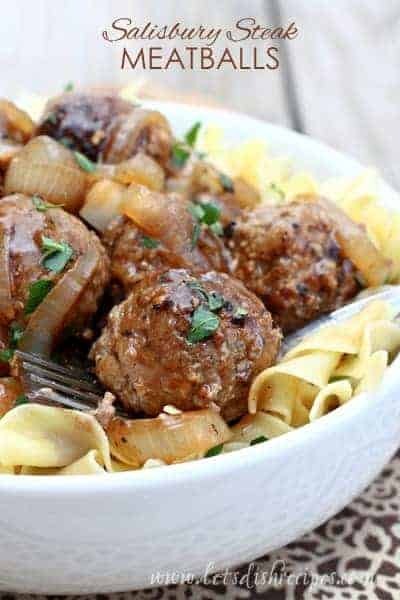 The great thing about making your own for this recipe is that you can add some of the spices that are unique to Swedish meatballs, like nutmeg and allspice. Now, not actually being Swedish, one thing my family didn’t do was put fresh dill on our Swedish meatballs, but apparently that is a thing. So I used it to garnish my soup. I admit, I was skeptical, but wow! Do not skip the fresh dill. It really is the secret ingredient. I really love the sauteed red onions too, but some of my kids did skip those. Living in a house full of hungry boys, it’s not hard to believe that they gobbled this soup up and went back for seconds! 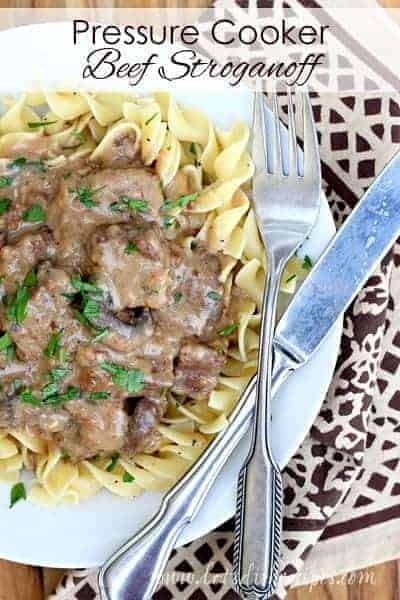 And although I haven’t tried this recipe in the slow cooker, I’m sure it could easily be adapted for that. This is definitely hearty, filling comfort food for a chilly day. 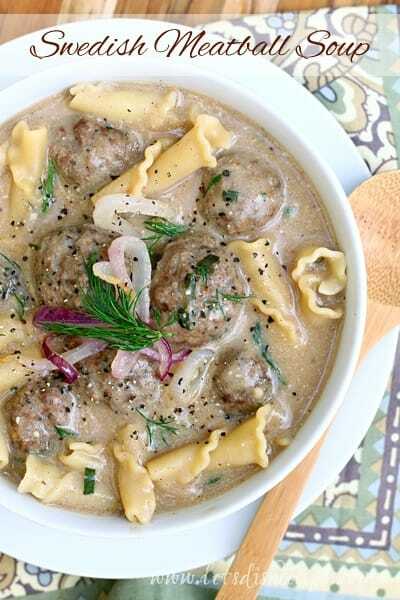 Be sure to save this Swedish Meatball Soup recipe to your favorite Pinterest board for later. 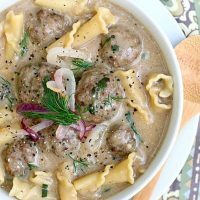 This hearty soup, made with homemade meatballs in a creamy beef broth, has all the flavors of the classic Swedish dish in a heartwarming soup. Combined the meatball ingredients in a large bowl and mix thoroughly. Roll the mixture into walnut sized balls and place the meatballs in the prepared baking dish so that they are just touching. Bake for 20 minutes, or until the meatballs are firm and cooked through. Meanwhile in a large Dutch oven, cook onion in the butter until tender. Remove from pot and set aside. Stir flour, nutmeg and allspice into remaining butter in pot and cook for 1-2 minutes. Gradually whisk in broth. Cook and stir until thickened. Add the meatballs and bring to simmer. While meatballs simmer, cook the pasta according to package directions. Stir the cooked pasta into the pot, along with the sour cream, heavy cream and fresh parsley. Season with salt and pepper, to taste. Ladle soup into bowls and top with onions and fresh dill.